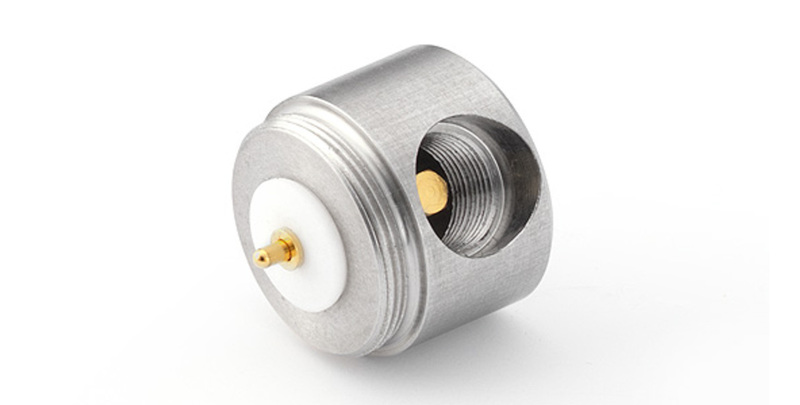 The GRAS RA0001 is a right-angle adapter and is typically used in a Sound Intensity Probe (included with the phased matched 1/2" microphones) where it is used together with the corresponding straight adapter RA0003. The RA0001 is also useful in situations where the microphone has to be flush mounted on a wall. Right-angled adapter for a 1/2" microphone and a 1/2" preamplifier is the RA0190. Right-angled adapter for a 1/4" microphone and a 1/4" preamplifier is the RA0006.